It's been a week since the Sandy Hook tragedy and it is still difficult for me to talk about. I cannot even begin to imagine what the Sandy Hook students, teachers, and families must still be feeling or going through. Kristin from Little Miss Glamour Goes to Kindergarten is hosting a linky party for our friends from Sandy Hook. She is encouraging all of us who sell items on TPT to donate a portion of our proceeds over the next couple of weeks to Sandy Hook Elementary. She is also encouraging everyone in the blogging community to shop from the stores of those who link up. To show my support for all of those at Sandy Hook I have linked up with Kristin's Teachers Supporting Teachers linky and I am encouraging all of you to participate in any way you can- If just to show those at Sandy Hook that we are thinking about and praying for them. 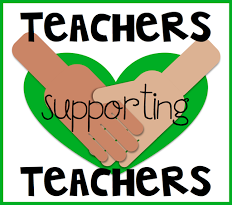 For more information on the Sandy Hook Fundraiser, to link up your TPT store, or to see where you can shop for units to contribute to the cause check out Kristin's post Teachers Supporting Teachers. The winner of Donna's December Success Kit is Mrs. Reinartz. Thanks again to all of you who entered and to Donna for graciously agreeing to give the unit away. As a side note I am sorry that I have been a bit absent in the blogging world lately. I am a little overwhelmed with work and trying to find time to research and write on my dissertation. I am also having trouble uploading pictures. I am getting a message about space being full. Does anyone know anything about this? I am a new fan of all of Donna's Success Kits so I am happy to have the December Kit to giveaway!! The December Success Kit contains over 300 pages!! I really appreciate the fact that the kit has color as well as black and white options because sometimes I need to print quickly and save ink. 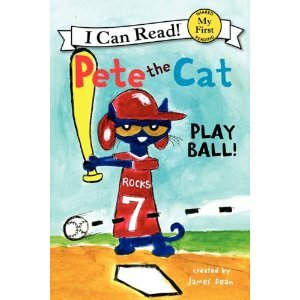 The activities are perfect for large group, small group, and literacy stations. I also like being able to use the games with my students and then having a recording sheet for them to fill out as an assessment piece I can hold on to. 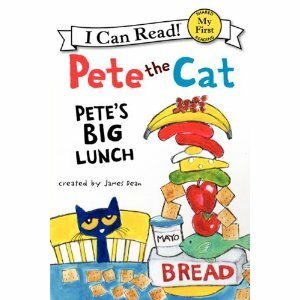 I am making this a quick giveaway so that I can get it out to teachers to use before the end of the month. The giveaway ends at midnight Wednesday December 12th. I am not going out of town any time soon so I promise I will announce the winner next Thursday. Leave a comment for each requirement you fulfill. Don't forget to leave your email address. 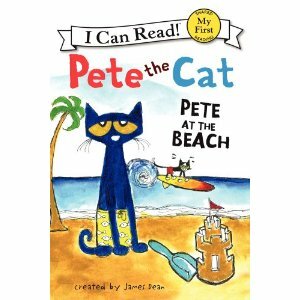 New Pete the Cat Readers Coming Soon!! Just came across these!! They release in February 2013! Yah!! The kids will love them! You can pre-order them on Amazon here. I am so sorry for getting behind in announcing my giveaway winners and making posts. I went out of town last week for a research conference and just got back. I am also having trouble posting images right now so I am in the process of trying to find out how to fix that. The lucky winner of Donna's November Success Kit is Megan Reynold's!! Congratulations Megan!! and the winner of the Pick and Draw game and book is Jessica from Teach on a Limb! A few years ago when I taught at Moseley I was known my some as the "Bulletin Board Queen" because I had adopted the motto "the more bulletin boards the better!" I loved to display student work!! I had about 8 bulletin boards going at my peak. Anyway... all of that is to say that I heard about a fun Christmas Bulletin Board Contest sponsored by MPM School Supplies and I wanted to share the news with all of you. 2. After you post the picture, they'll email you with a link to your unique entry page (along with a 10% discount code to MPM School Supplies as a thank you for taking the time to enter!). 3. Then you get your family, friends and colleagues to vote for your picture by 'pinning' it on Pinterest and 'liking' it on Facebook. *The picture with the most combined Pinterest 'Pins' and Facebook 'Likes' when voting ends, January 4 at 11:59pm EST, wins a $100 MPM School Supplies gift card. 2nd place wins a $50 gift card, and 3rd-5th place win $25 gift cards! And EVERYONE who enters the contest will receive a 10% discount they can use on their next purchase from MPM School Supplies! To get started and enter to win click here. Good luck everyone! I know you all have lots of great bulletin board ideas to share.